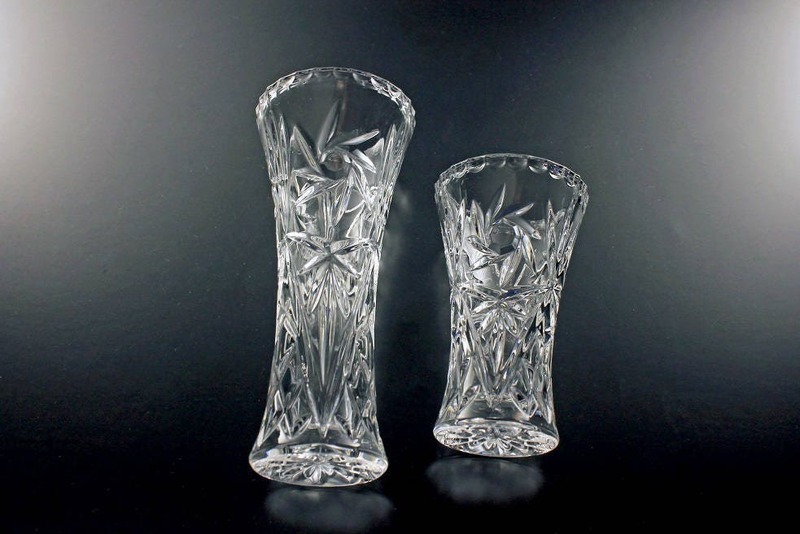 A lovely set of two crystal flower vases by Lenox. This pattern consists of a star and fan design. 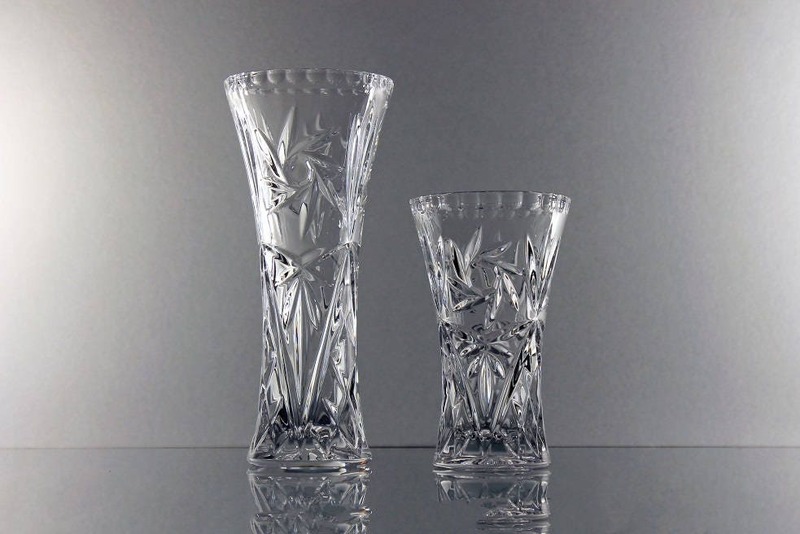 The vases are heavy clear pressed glass. They are very shiny with a nice sparkle. 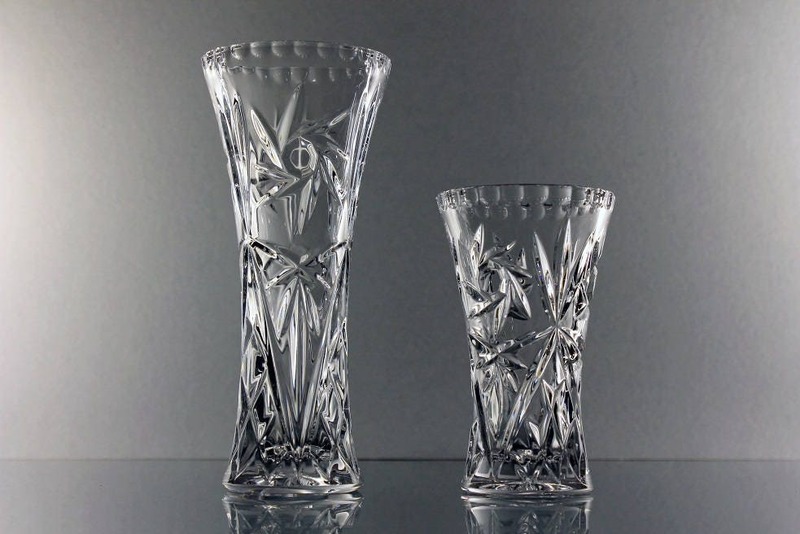 A great pair of vases to hold flowers received as gifts or from your own garden. 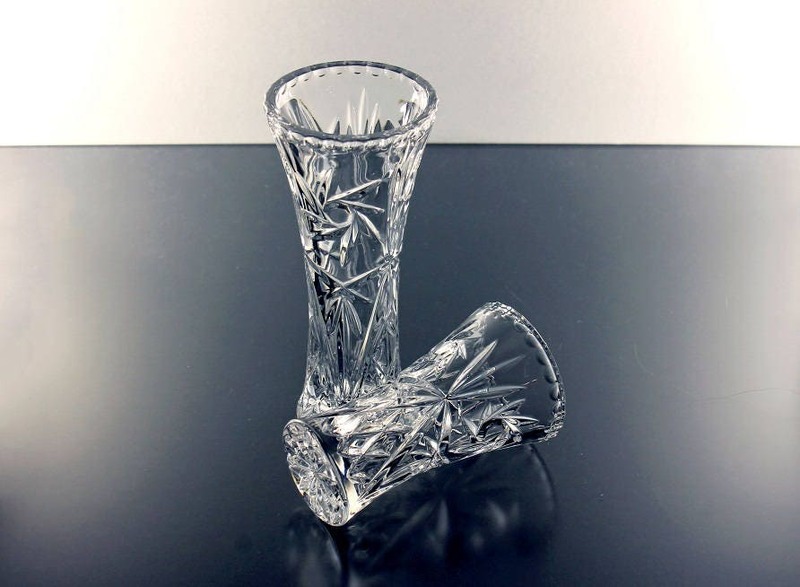 These are fantastic vases to show them off to perfection. Perfect for gift giving. 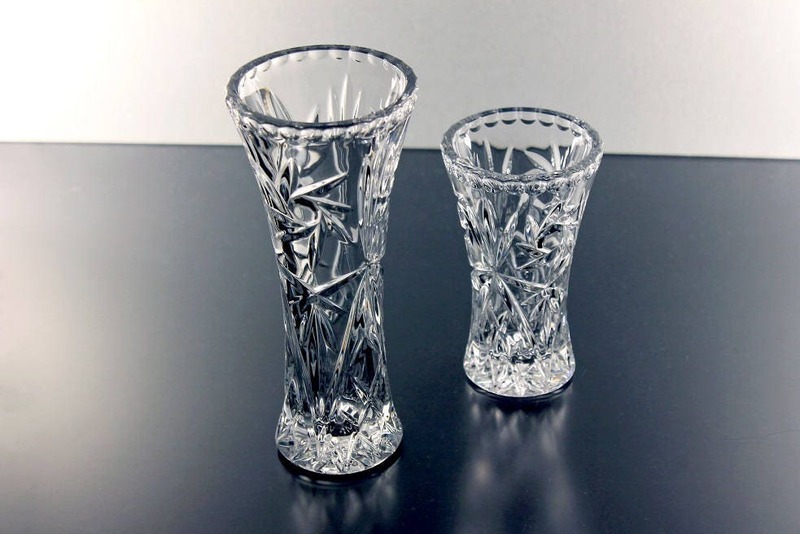 These vases are in excellent condition. There are no chips or cracks. A wonderful gift for a wedding, holiday or any occasion.